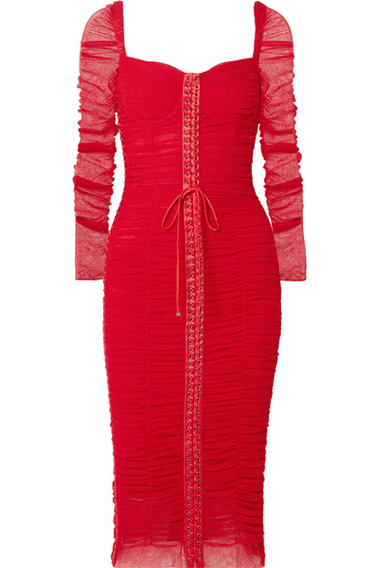 The striking red hue isn't the only thing that stands out about Dolce & Gabbana's lingerie-inspired dress. Made from tulle that's ruched to enhance your curves, it has sheer sleeves and a silk-trimmed lace-up front inspired by traditional corsetry. The smooth satin lining and boned bodice will ensure it looks flattering from all angles.